Insolvency Hotline Australia is committed to the privacy of its customer records and for your information we have documented our policy. 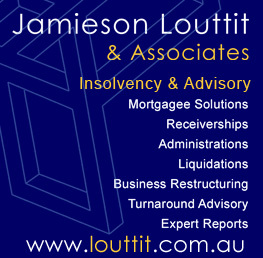 Please contact Insolvency Hotline Australia if you wish to discuss any aspect of our information handling practices. Insolvency Hotline Australia only collects personal information from you that is necessary for it to perform its functions. The kinds of personal information Insolvency Hotline Australia holds about you will depend on the services you request from Insolvency Hotline Australia and the use that you make of those services. Records of use made by you of services provided by Insolvency Hotline Australia to you. In most applications, we collect your personal information directly from you when you provide it to us. In some cases, for example where we carry out and collect information from organisations to whom we outsource functions, your personal information will be collected indirectly. Insolvency Hotline Australia respects your privacy. As a result, Insolvency Hotline Australia does not trade, rent or sell your personal information. The primary purpose for which we use your personal information is to provide you with accounting services. Insolvency Hotline Australia will handle requests for access to personal information in accordance with the privacy principles. 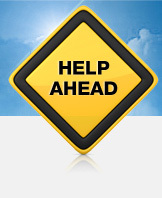 To request access to your personal information, please contact Insolvency Hotline Australia. If you believe that we hold personal information about you that you consider to be inaccurate, incomplete or out of date you should contact Insolvency Hotline Australia. In most cases, we will amend any inaccurate, incomplete or out of date information. In some cases it is necessary for us to keep a record of what we know or understand to be correct at a particular time. Insolvency Hotline Australia is committed to protecting your privacy and recognises its obligations to take all reasonable steps to protect your personal information from misuse and loss and from unauthorised access, modifications or disclosure both under the Privacy Act. We take physical and electronic measures to secure your information. We store your personal information. Access to this information is limited. From time to time, it may be necessary for us to review our Privacy Awareness Policy. We reserve the right to amend our policy at any time and to notify you by posting an updated version on this website.